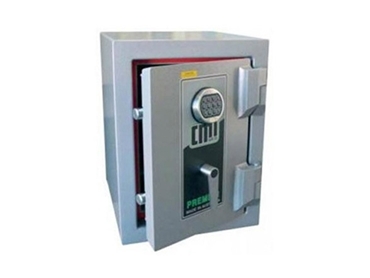 The Australian CMI Premier safe available from Safes Galore is a leading make of commercial security safes manufactured to provide a high level of security against torch and drill attacks. In addition to offering torch and drill resistance, the CMI Premier PRB security safes are designed to resist fire for one hour. The security safes measure 615mm H x 460mm W x 510mm D and weigh 308kg.